This week's prompt is goal of the week. 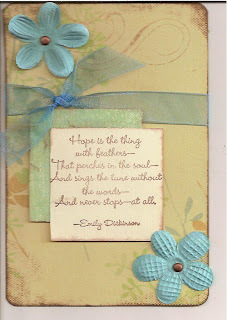 Hope is the thing with feathers- That perches in the soul-And sings the tune without the words-And never stops at all. Wow - I love this idea - setting one personal goal and meeting it. That is a beautiful quote. love the soft colors here!